Quad Fuels Ltd would like to officially welcome our new fuel delivery driver, Gary Heath, to the team! We are always keen for friendly, motivated people to deliver our fuel, liaise with customers, and maintain our customer-focused services. “I have been married for 5 years and have a 4-year-old son, I am originally from Llangollen but have worked in Sienna in Italy, Ludwigsburg in Germany, Nicosia in Cyprus and St Helier in Jersey, my roles have been varied from green keeping to hotelier to refuse executive. This year I was looking for a new challenge so I took an ADR course and was given the opportunity to join Quad Fuels, and this has enabled me to work with a great team and meet so many wonderful customers as well as taking in some of the most beautiful countrysides our country has to offer. As we welcome Gary Heath, we also extend a special thank you to Charlie Hughes-Lloyd, who has helped the company get off the ground when we first opened and also during our first incredibly busy winter period but it is now time to hand over the baton to Gary and enjoy his retirement. Quad Fuels Ltd prides themselves on consistently providing the best customer service possible to the North Wales and Shropshire regions. 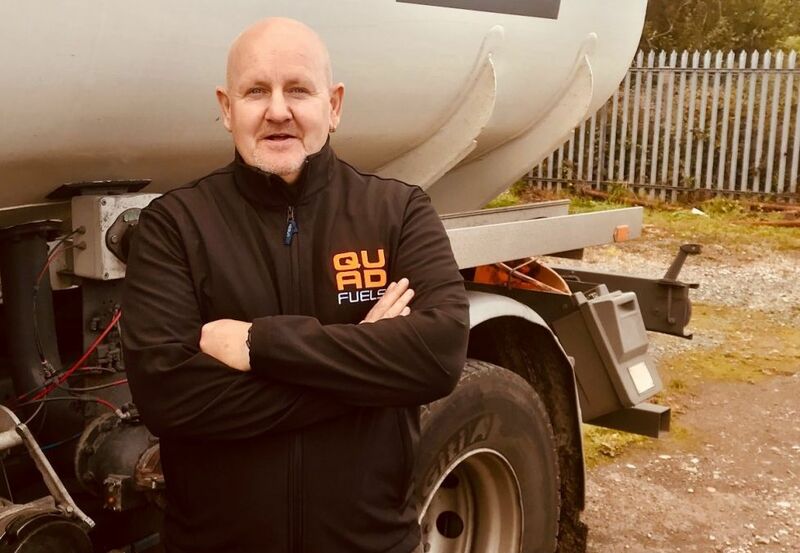 Our customer focussed fuel delivery service will continue to be unrivalled in the area and we look forward to Gary bringing his skills to the company.